I grew up in a law firm. My mother worked there part-time while completing her college degree. Thanks to my mother’s pitch to anyone who would listen that her daughter was a “future lawyer,” one of the firm’s most accomplished lawyers took an interest in mentoring me. That relationship changed my life. I became a lawyer because of Jerry Shestack. He passed away four years ago this month. 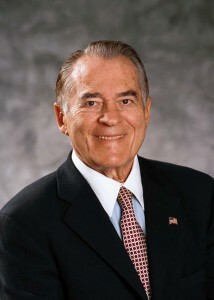 Jerry Shestack appeared repeatedly on lists like “100 Most Influential American Lawyers.” He served as president of the American Bar Association. He was invited by JFK to be a charter participant of the Lawyers’ Committee for Civil Rights in 1963. He was the UN Ambassador to the Human Rights Commission for President Carter. He chaired the Committee on Conscience for the Holocaust Museum in Washington, D.C. He loved movies, and he was a consultant for “The Young Philadelphians” starring Paul Newman as a Philadelphia lawyer. His son, Jon, became a movie producer. A person as busy as Jerry could be forgiven for not having much time to help others along. Jerry made time. Jerry taught me by instruction and by example. I received draft documents covered in red ink with his notes and careful word choices. And I was able to sit around a table with a case team at a meeting and learn from watching him do his job–the way he analyzed an issue or spoke with an adversary. I think about Jerry all the time: things he said, what I think he would say, things he did, how I think he would handle something facing me now. When I expressed gratitude to Jerry for the difference he made in my life, he suggested I write a book about mentoring. As our discussions on that book project advanced, he suggested interviewing women who had received the American Bar Association‘s award for trail-blazing women. This meant interviewing Justices Sandra Day O’Connor and Ruth Bader Ginsburg and Attorney General Janet Reno, among others. I dug into the project with gusto. 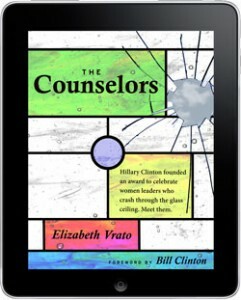 The result was my book The Counselors: Conversations with 18 Courageous Women Who Have Changed the World, which has just been released in a new edition as an e-book (www.thecounselorsbook.com). Jerry and I appeared on C-SPAN’s “Book-TV” to promote The Counselors. Jerry told the audience that we stand on the shoulders of those who come before us. He named the first female professor at Harvard Law School, Soia Mentschikoff, as an important mentor of his. He named past ABA president Bernie Segal as another. Jerry said his mentors had increased and enhanced his achievements in life. He said society is complex. Being mentored gives you a sense of belonging. He said life has a lot of obstacles, and a mentor can help to give you the courage to face them. He said mentors provide vision and wisdom in order to further your reach and expand your horizons. Jerry likewise told the C-SPAN audience what he found appealing about mentoring others. He said he liked the idea of giving back something when you have gained from society. He said passing the torch is fulfilling. And he said that it is a mark of leadership when you are willing to share leadership and bring others along. I was at Jerry’s bedside a few hours before he passed away on August 18, 2011, and I served as one of his pallbearers in a raging rainstorm that stripped away everything of those there (hairstyles, make-up, ironed clothes, polished shoes) except a raw, gut-wrenching grief that lingers. Jerry’s son, Jon, delivered a moving eulogy at the funeral. Jon asked, “Who is ever going to love me like he loved me?” And Jon reasoned with us and our grief: “We all know it’s not a tragedy when an old man dies, particularly a man like Jerry, who had accomplishments and friendships to last two lifetimes. But it is still very, very sad.” He encouraged us to move from sadness to gratitude for having had Jerry in our lives. Jon shared some things about his dad that never appeared on a resume: (a) Jerry was always game for an epic pillow fight that could only be resolved by ice cream; (b) Jerry claimed to know judo; (c) Jerry never fully stopped being a Hebrew School teacher, an Eagle Scout, or a big brother; and (d) Jerry would occasionally, if he saw someone being arrested, get out of the car, identify himself as a lawyer and just stand there, making sure the guy was being treated according to the law. Jerry is survived by his wife Marciarose, his children Jon and Jennifer, and five grandchildren. No fewer than fifty people will tell you that Jerry Shestack mentored them, made them a better professional, made them his friend, and changed their life.